The treatment of mental health is looking at a whole range of changes going forward. The widespread access to digital technology has seen the creation of many online mental health platforms to enable accessibility to employees and increased engagement. The great majority, currently, of digital mental health platforms offer information and resources along with self help therapy. 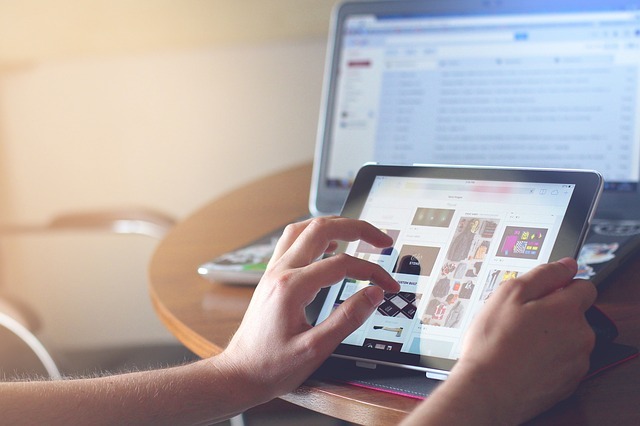 Many of the online platforms have been developed from Cognitive Behavioural Therapy but are limited and far less responsive than real-life therapy with a skilled CBT therapist. Mental health online platforms often have a large educational component than counselling with a trained therapist. Indeed, some interventions present themselves as educational programmes rather than treatments, and deliver the intervention in “lessons”, not “sessions”. They vary in the extent to which they retain the strategies and procedures of the original treatment. The interventions also vary in their structure. Some are linear, progressively leading users through the intervention step-by-step, whereas others have a variety of modules which may be used with partial or total flexibility. Direct-to-user digital treatments are popular and can access underserved groups. A leading example is MoodGYM, a free online intervention for depression that has been available since 2001 (Christensen, Griffiths, & Korten, 2002) and has been used by over three-quarters of a million people.An important shortcoming of direct-to-user interventions is that completion rates are low if there is no accompanying support. Certain forms of psychopathology may prove to be more amenable to direct-to-user treatment than others. The eating disorders bulimia nervosa and binge eating disorder might be particularly suitable as binge eating is a repeated highly aversive experience which responds well to self-help interventions (Wilson & Zandberg, 2012) yet many sufferers do not seek treatment because of the associated shame and secrecy (Hart, Granillo, Jorm, & Paxton, 2011). Online clinics can faciliate easier collection of statistics. Clinically relevant change can be monitored on a large scale. Supported digital interventions are more effective than unsupported ones. It is generally thought that the explanation lies in better treatment adherence in the presence of support (Mohr, Cuijpers, & Lehman, 2011). When accompanied by support, digital interventions are as effective as face-to-face treatments. This is the conclusion drawn by several systematic reviews and meta-analyses (e.g., Andersson et al., 2014, Cuijpers et al., 2010). It would not be surprising if it emerges that different forms of mental health issues (eg.anxiety/depression) respond differently to the two forms of treatment delivery. Not surprisingly, many important questions have yet to be answered. Here are some examples. First, as there have been few head-to-head comparisons of different digital interventions for the same mental health problem, it is not clear which ones are the most effective ones nor is their relative cost-effectiveness known (Donker et al., 2015). Second, it is not known whether the functionality of a digital intervention has a bearing on its effectiveness. The nature of the psychopathology being addressed may also need to be taken into account when designing interventions; for example, users with depression may struggle to complete interventions which require sustained concentration. In addition, there is a need for research on how these interventions work; who is accessing them; who benefits most; and whether the changes last. Also, more needs to be known about any negative effects of digital treatment (Rozental et al., 2014). The most scalable way of providing a digital treatment is without support (“autonomous digital treatment”) but, as noted earlier, the provision of support improves outcome.There are many ways in which the support can be delivered. It can be via brief face-to-face sessions as exemplified by the use of supported self-help in the treatment of eating disorders (Wilson & Zandberg, 2012) or it can be via telephone or videoconferencing. The concept of “blended treatment” is a new one. Generally, it refers to face-to-face treatments which include a digital intervention or component (Wentzel, van der Vaart, Bohlmeijer, & van Gemert-Pijnen, 2016) although the clinician involvement need not be literally face-to-face; for example, it could be via telephone or videconferencing. Blended treatment is gaining in popularity, a particularly early adopter being the Netherlands (Ruwaard & Kok, 2015). Global mental health innovators have attempted to address two major barriers to reduce this gap, viz. their low acceptability due to contextual differences between the settings in which psychological treatments were developed and those in which they are to be used, and their low feasibility due to the lack of mental health professionals to deliver them (van Ginneken et al., 2013). This body of research has shown that psychological treatments are effective in widely different cultural and social contexts even when delivered by people with little or no prior mental health training (van Ginneken et al., 2013). However, there remain two significant barriers: the continuing reliance on face-to-face formats for training and supervision, and the low demand for mental health care in formal health care settings, not least due to the high levels of stigma attached to mental health problems. Digital technologies offer a genuine opportunity to leap-frog both barriers. While the “digital divide” undoubtedly remains a problem, particularly in low-resource settings, the divide is closing and there is no reason to think that this will not continue. Digital interventions that can be used without support are of particular importance as they have enormous potential to improve access, and additionally they have the value of being inherently empowering. They need to be optimised and “task sharing” needs to be expanded to embrace digital self-help. National and international organisations concerned with mental health need to endorse and support digital technologies as they are likely to be transformative. Above all, the international psychological treatment community must strive to engage digital entrepreneurs and innovators, particularly those who are championing initiatives in global health, to partner with them to exploit the many opportunities for using digital technology to transform mental health care worldwide.